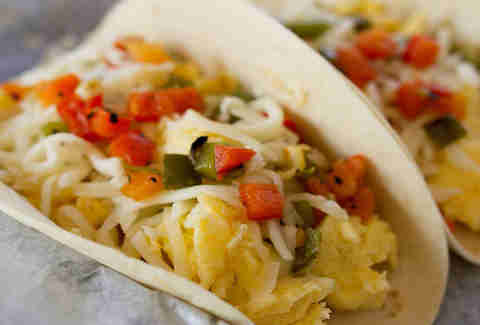 Breakfast tacos. Austin loves them, and any self-respecting resident has a favorite. But what does that preference say about you as an individual? So glad you asked! 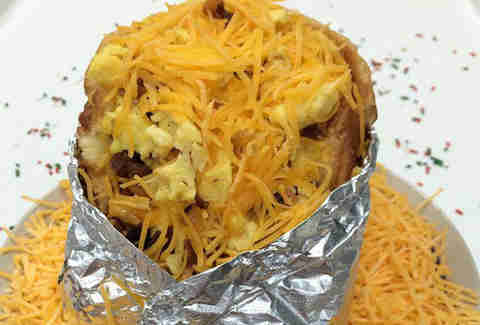 Find out what your preferred breakfast taco dictates about your personality (or lack thereof!). You like to think of yourself as an urban hipster, but you moved to Round Rock two years ago. You have seen several shows at Cedar Park Center and think it has great acoustics. You are fond of places that offer secret menus, but rarely order from them. You're from Austin. No, really, you promise, and you have evidence in the form of a Go Local card. 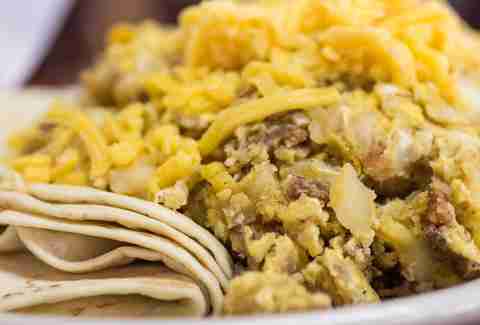 You often consume steam tray breakfast tacos at coffee shops. You will put queso on just about anything. You may or may not be Mayor Lee Leffingwell. Like everyone you know, you live in East Austin. The only time you travel South of the river is to buy vinyl records at End of an Ear. 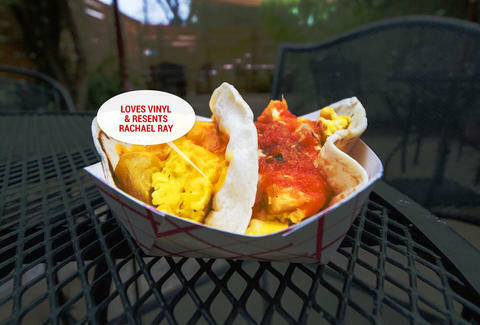 You have no shame in ordering migas for lunch and have a mild resentment that Rachael Ray found this place first. It's your ethical responsibility to pay twice the price to know your chicken enjoyed the freedom of laying eggs in a slightly bigger (but still tiny) box than the poorer chickens. You would drive a hybrid car, except you don't have any money left because you buy very expensive tacos. This was the first BBQ joint you went to when you moved to Austin, and you have a soft spot for it, even though you know it's not top-tier. You have seen Bob Schneider perform more than three times. 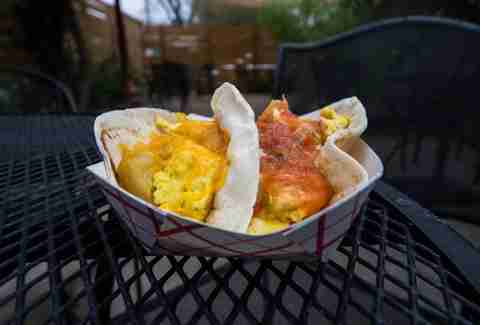 There aren't many other places that sell breakfast tacos near you. Your Delta Sig bros used to roll up and crush a Don Juan each to soak up the regrets from the previous evening. You still talk about that one time when Juan sat down at your table instead of just giving you a thunderous handshake. You have not spent a great deal of time exploring East Austin. 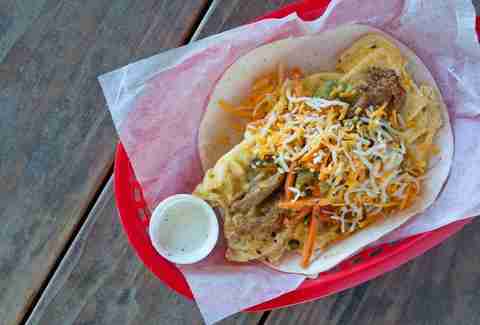 You're either a drag queen or too lazy to drive more than two minutes for a better taco. Or both. You are thrifty at heart, but not actually that good at budgeting. You have flashbacks to tacos costing less than a dollar. Buffalo Exchange never wants to buy back your clothes, even though they are generally considered very stylish. You rarely travel outside of South Austin. 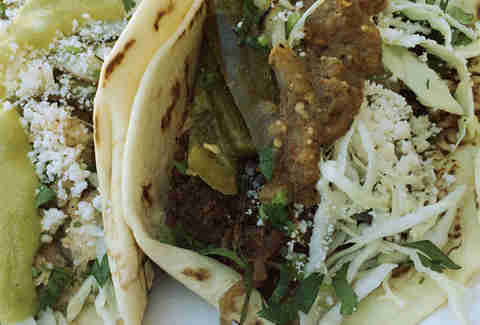 You’re so addicted to that veggie chorizo that you don’t even mind waiting 45 minutes FOR A TACO. You spend a lot of time at Barton Springs. You have sizeable late fees due to both I Love Video and Vulcan for a combination of mid-'90s Hollywood blockbusters and obscure Criterion Collection films. You rarely wear close-toed shoes. You own several Girl Talk CDs and believe that R Kelly and Jay Z's The Best of Both Worlds is a very underrated album. You have attended Eeyore's Birthday Party on more than one occasion, but draw the line at body paint. You are fond of making bad decisions, and have probably sat on that not-quite-a-bench in last night's clothes making awkward small talk with someone you met at White Horse. You likely are in a band, are a DJ, or work with your hands. You long for the days when the portions were twice as big and your rent was half as much. Your freelance writing or video editing or sound engineering job means you haven't been into an office in years, but you secretly long for someone to talk to and free miniature pretzels. You greatly enjoy the fact that you can order a #0.